Coffee may have its place as a healthy beverage, but green tea is often touted as the miracle drink for your mug. That’s especially true with busy holiday schedules; here’s why you should drink the green stuff regularly this holiday season. 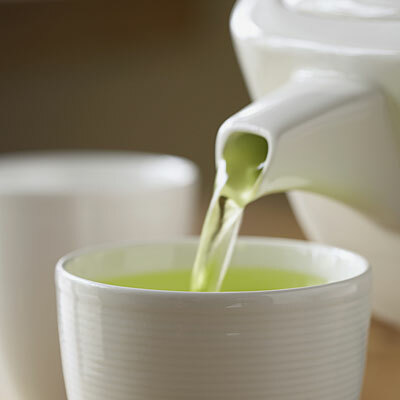 Coffee may have its place as a healthy beverage, but green tea is often touted as the miracle drink for your mug. That's especially true with busy holiday schedules; here's why you should drink the green stuff regularly this holiday season. Weight-loss wonder: For many, the holiday season is the worst time for maintaining diet goals. During the season of indulgences, then, every little bit helps. Drinking green tea regularly has been shown to help suppress appetite and increase your metabolism — both of which can help you save or burn a few calories while you celebrate this season. Stress relief: Curling up with a warm beverage can be relaxing, especially when the rest of your day is hectic, but drinking too much caffeine has its downsides. Too much caffeine can lead to anxiety, stress, and trouble sleeping, so if you find yourself running out for a coffee break or having friends over for a cup several times a day, switch to green tea. Not only does green tea contain only half the amount of caffeine than a normal cup of coffee, but many people also say green tea's fresh, grassy flavor helps them relax.